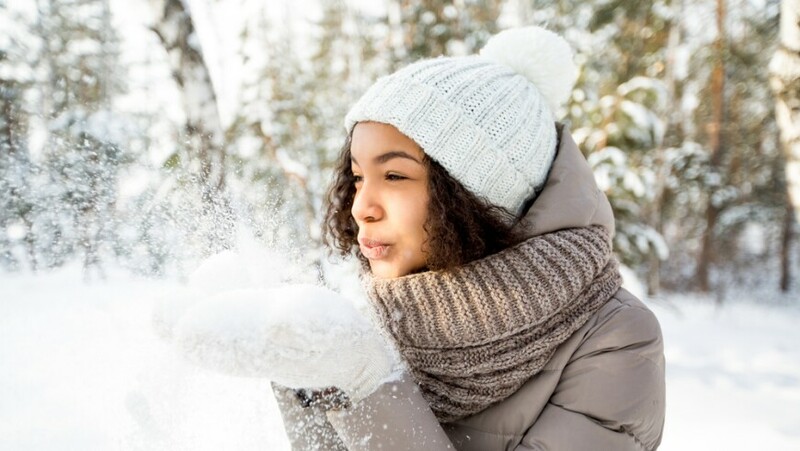 Keep your hair shiny, smooth and healthy—and banish hat head, flakes and static—with these easy tips for prepping your tresses for when cold weather strikes. With every new season comes a new set of hair nuisances. Yes, winter means waving goodbye to summer frizz—but also saying hello to its cold-weather counterparts: hat hair, static, flatness and dryness. Blame this dreaded wintry mix on lower humidity, says Eva Scrivo, owner of Eva Scrivo Salons in New York City, and author of Eva Scrivo on Beauty. So we went to the experts to glean simple hair hacks that will keep your locks looking great until spring rears its pretty head. If you’re adding all kinds of moisturizing creams or volume-boosting sprays to your morning routine and not seeing smooth, shiny results, you may need to strip your hair down before you can build it back up. 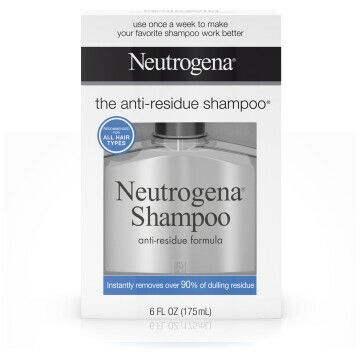 Instead, start fresh and wash with a clarifying formula once a week, like Neutrogena® The Anti-Residue Shampoo®, to remove existing deposits and help make your favorite shampoo work better. You can also consider adding a few drops of apple cider vinegar to your current shampoo, suggests Scrivo, adding that its natural acidity helps break down buildup. Zap static with a dryer sheet. Got flyaways? 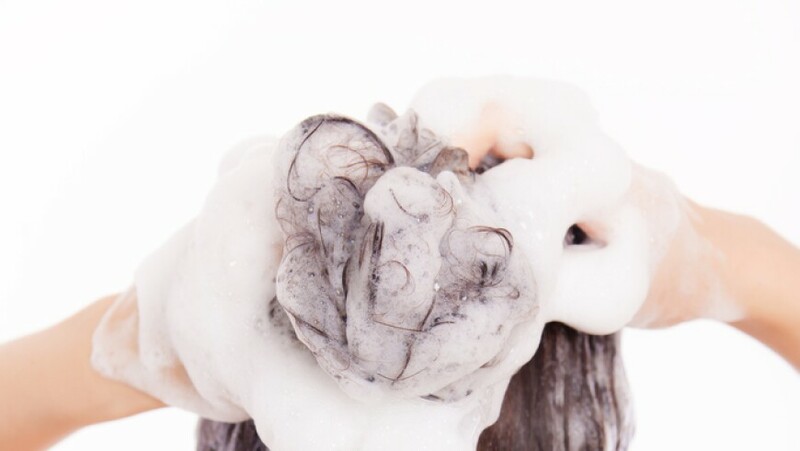 “The best way to combat static hair is with a dryer sheet,” says Devin Toth, a hairstylist at Salon SCK in New York City. “Glide the sheet from your hair part down toward your ends." That's because low humidity levels can draw moisture out of hair, leading it to develop an electric charge. The sheets, which are positively charged to remove static in clothes, can neutralize hair static in the same way. 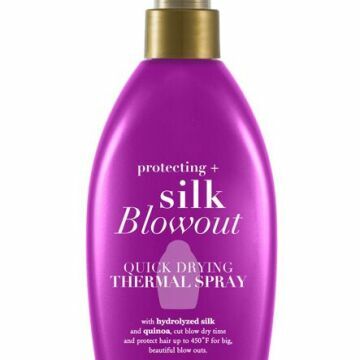 Or bring in the big guns with a shine or smoothing spray. “I’m obsessed with OGX® Smoothing + Shea Sleek Humidity Blocking Hairspray,” says Jaime Kontz, Associate Director of R&D for Vogue International. 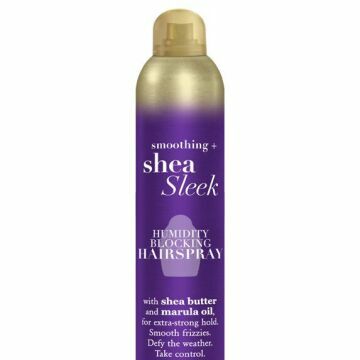 “If you’re struggling with flyaways or static cling, just spray a light veil over your hair and go.” It contains hydrating ingredients like shea butter and keratin that work to tame unruly strands. We know, the prospect of walking outside with wet hair in winter isn’t exactly appealing. But the heat of the hair dryer (let alone a flat or curling iron) can make dry winter strands even more parched. So try to skip heat styling on weekends, and spritz some heat-protecting spray on your hair when you do blow-dry, using the low heat setting on your dryer. Wait longer between washes to combat a flaky scalp. Just like the rest of your skin, your scalp can get drier than normal in the winter. Consider shampooing just two to three times a week to avoid stripping your head of natural oils, and use a dry shampoo to soak up any greasiness in between lathers. 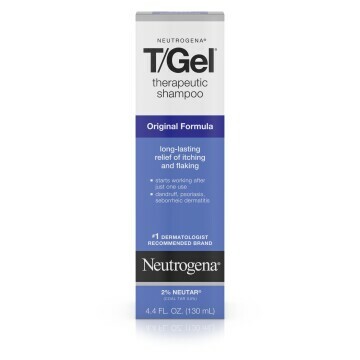 If you’re finding dandruff is a serious problem this time of year, consider switching to a shampoo that targets the problem head-on, like Neutrogena® T/Gel® Therapeutic Shampoo Original Formula. It helps alleviate not just seasonal flakes but also conditions like scalp psoriasis and seborrheic dermatitis, a common skin condition that causes a crusty rash, particularly in cold, dry weather. Add products that help boost moisture. Dry hair calls for a good drenching with oils, creams and conditioners. Don’t be afraid of the former—add just a few drops to your hair after washing and before drying, and it will leave your strands soft and supple. 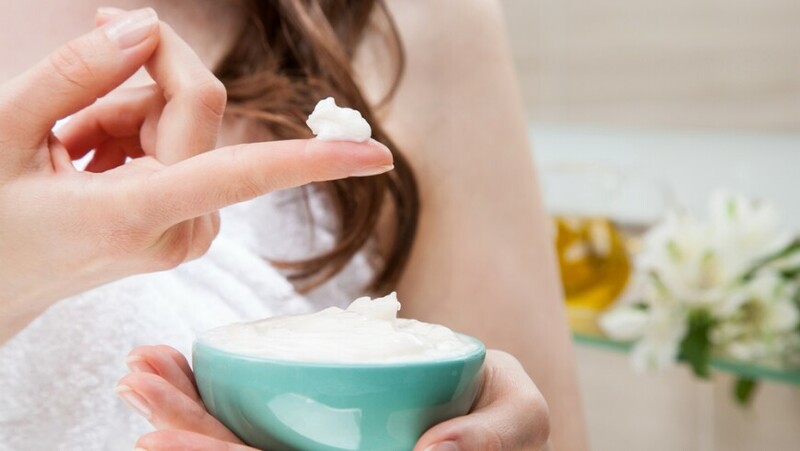 “If your hair is feeling extra dry, you can even add a couple of drops to your shampoo or conditioner, or rub it into your hair and scalp before you shampoo,” Kontz says. Her favorite oil product: OGX® Hydrate + Marula Oil Serum Elixir. 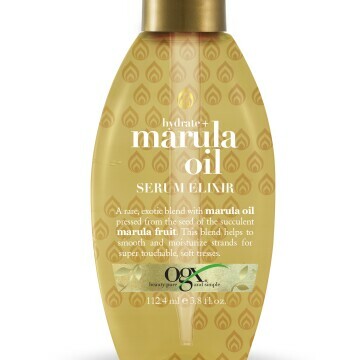 “Marula oil [derived from the fruit of marula trees, most commonly found in Africa] has a low molecular weight that allows it to absorb more easily into the hair than other nut or fruit oils,” she points out. Steer clear of static-boosting plastic combs or brushes. Instead, use metal tools, which absorb the electric charge in the air that can cause flyaways. And natural bristle brushes can better distribute your scalp’s natural oils through your tresses. If your warm beanie is making a mess of your tresses, try placing or pinning a silk scarf inside of it. 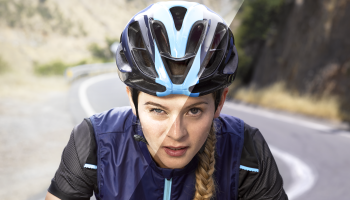 Unlike standard hat materials, like wool, silk causes little friction to the hair that leads to static. Scrivo also suggests prepping your hair with mousse, and clipping the middle section up before putting your hat on, to ensure it doesn’t flatten your strands. Parting your hair opposite from your usual side can help, too, she says. Try these styling suggestions for fuller, healthier hair—both at the salon and at home.